The image above is a fascinating picture, showing one of the earliest phases of Taronga Zoo. The image is taken from a postcard which was probably produced in the decade up to 1910. It shows a zoo which is very different to the one many of us are familiar with today. 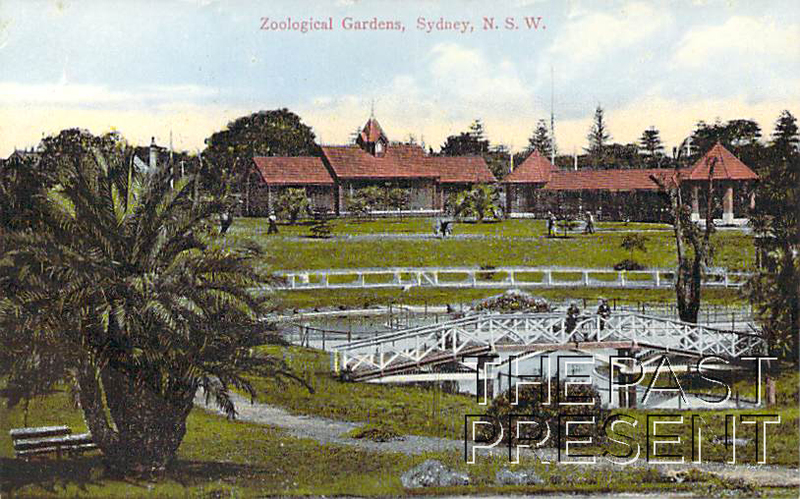 This postcard does depict what was to eventually become Taronga Zoo, but at this point, the zoo was not located on its current site, nor was it called Taronga Zoo. The Zoological Society was established in 1879 and in 1883 they gained permission from the Sydney Council to establish a public zoo at Moore Park. The Zoological Gardens opened at a place known as Billy Goat Swamp in 1884. The gardens were laid out by Charles Moore, the director of Sydney Botanical Gardens at the time, and included various animal enclosures, including a bear pit and elephant house. The postcard image shows the elephant house. In 1916, with the original site having been declared too small for the zoo, Moore Park Zoological Gardens closed and on October 7th, Taronga Zoo was officially opened on its current site. This entry was posted in New South Wales, Sydney and tagged 1900s, parks and gardens, postcard collection, sydney, tourism. Thanks for the comment – I will have to go and check it out!